Bacher Farm for hikers Sterzing – experience unforgettable holidays! In summer, the entire area around Sterzing become a unique hiking paradise. 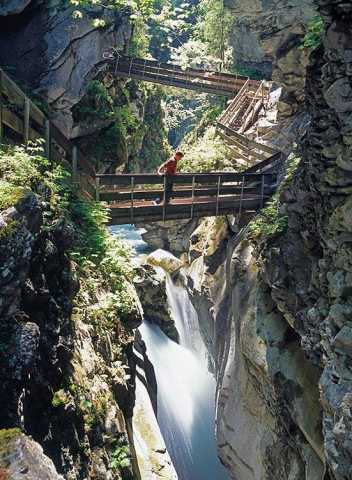 The Pfitschtal Valley, this pristine natural setting at the foot of 3,000-metre peaks, entices you to experience breathtaking hiking adventures. 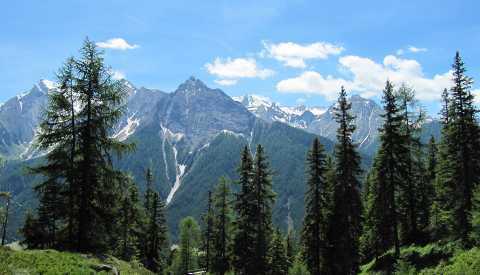 Pfitschtal is one of the most original and pristine valleys in South Tyrol. Just 10 minutes’ drive from Sterzing, you will come to the small village of Afens at the entrance to a high valley. Just beyond there, you will discover an idyllic mountain world with astonishing panoramic views. The towering peaks of the Zillertal Alps, including the majestic Hochfeiler (3510 meters), captivate alpinists and hikers alike. 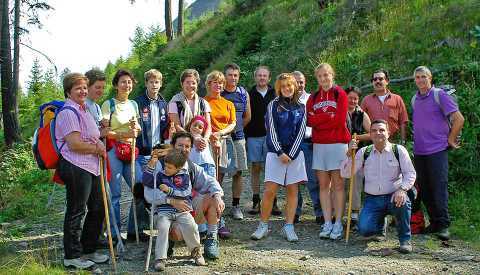 Wide range of hiking opportunities: from Nordic walking along valley- and alpine paths, to challenging tours of the summits, mountain fans always find “just what the doctor ordered”. Other beautifully situated hiking areas can be found in the neighboring valleys of Ridnaun-, Ratschings- and Pflerschtal (all within a radius of 20 km). Hikes are planned and discussed together with our guests, and we personally accompany you on your expedition. We have our own in-house hiking guide and instructor in the basics of Nordic Walking. Your hostess, Maria, is a certified nature guide. - Here with us, you can borrow rucksacks and hiking poles for free. 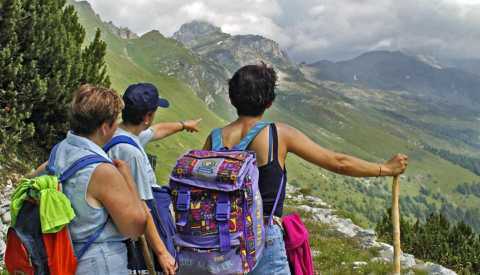 - In our Hikers’ Info Corner, you will find hiking maps, nature-, plant- and cultural guides for your hiking holidays. - Our hiker-friendly farm also has a minibus, which we use to transport you out to some of the most beautiful hikes (seating is limited).